Growing potatoes from seed potatoes that are only a few generations removed from the parent plant improves potato processing quality. Potato viruses and bacteria are a constant threat. With Qualituber you get younger, healthier and more resilient seed potatoes. We are committed to being open and transparent in the way we do business. You are always welcome to come and inspect your mini tubers or crop in the lab, greenhouse or field. Quality is the most essential factor in commercial potato production. Buying top-quality seed potatoes is cost-effective because it results in better quality potatoes and less spoilage. So you get a more profitable crop. Buy 100% percent healthy mini tubers of your chosen variety. Arrange for the tubers to be propagated in a disease-free environment by a top grower in the Netherlands. Supply the potatoes to the processing industry. This is the best way to ensure that your initial plant material is 100% healthy. Rapid propagation of plantlets in the laboratory. Rapid propagation of mini tubers in the greenhouse. Mini tubers are the best way to ensure that your initial plant material is 100% healthy. The subsequent cultivation of mini tubers requires considerable knowhow. Our top growers are extremely meticulous and specialise in the cultivation of top-quality seed potatoes. 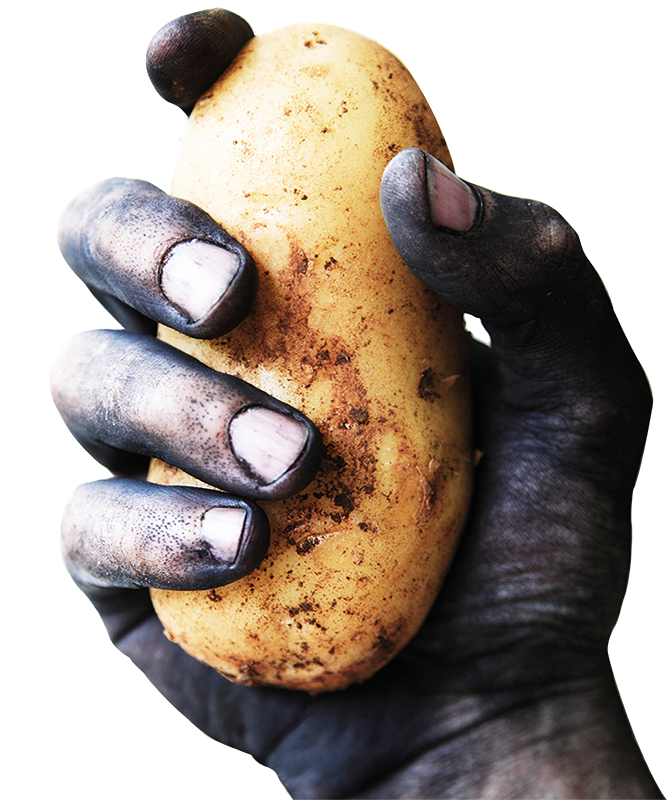 Our growers cultivate the tubers in a disease-free environment so the products are guaranteed to be clean. From this generation onwards you can continue to propagate the tubers yourself or cultivate potatoes and supply them to the processing industry.